Wall sawing requires highly-trained operators. As you may have figured out, wall sawing is the cutting of openings in concrete walls. However, it’s not as simple as it sounds. Wall sawing requires great attention to detail and expertise to ensure an even cut. Ace Cutting and Coring employees are experts at wall sawing and always make sure each cut is up to our clients’ standards. Our cutting machines can handle concrete of almost any size accurately due to our track-mounted circular saw. Wall sawing is not just used for projects where construction is still underway. It’s safe to perform many wall sawing projects on completed buildings should you need some sort of expansion or renovation. Although, not all cutting and coring technicians can be trusted to do the job right. Attention to detail is even more key with standing buildings, so be sure to contact Ace Cutting and Coring if you want the job done right. Additionally, be sure never to rent wall sawing equipment and let untrained personnel operate the machinery. At the very least, they could ruin the project. At most, personal injury is a real option. Always be sure to hire trained professionals for complex projects. 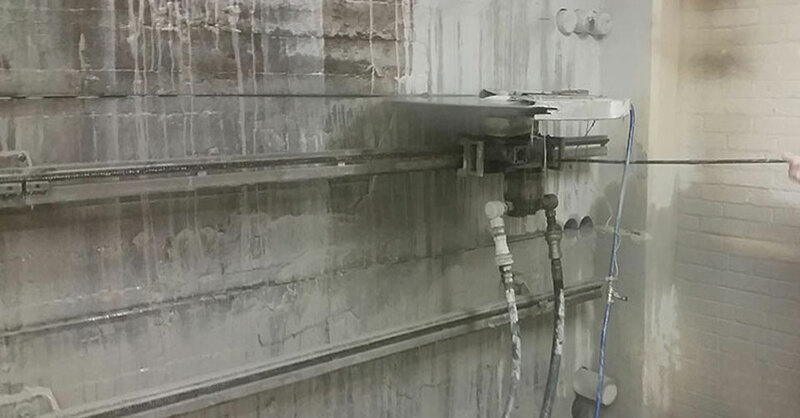 If you’re in need of wall sawing services or would like more information, contact us today!